New feature for blind and low vision iPhone users. 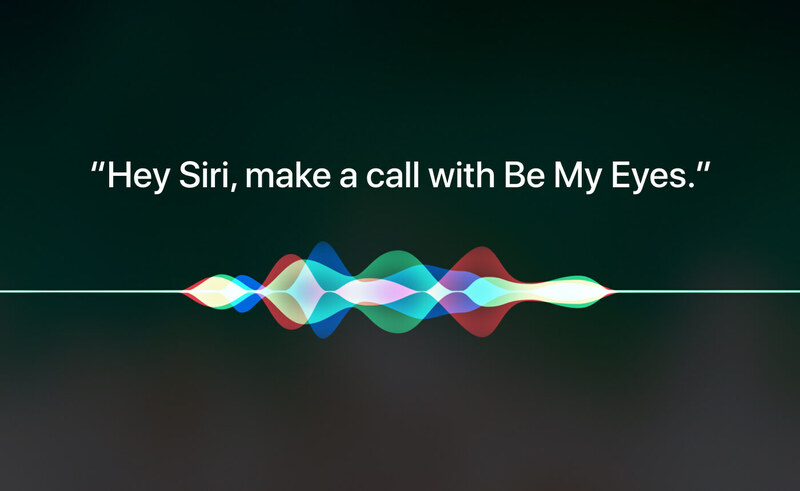 Image displaying the Siri soundwaves with the words "Hey Siri, make a call with Be My Eyes." It is now even easier for blind and low vision iPhone users to make a call with Be My Eyes. Just ask Siri! Say: “Hey Siri, make a call with Be My Eyes”, or the equivalent in the language your Siri speaks, and Siri will open the app and initiate a call - no button-pressing required! This update is now available in Be My Eyes version 3.0.3 or newer. Go ahead and update Be My Eyes in App Store and put Siri to work!